Brace your lift for the next Hurricane! Secure your boat to the lift! 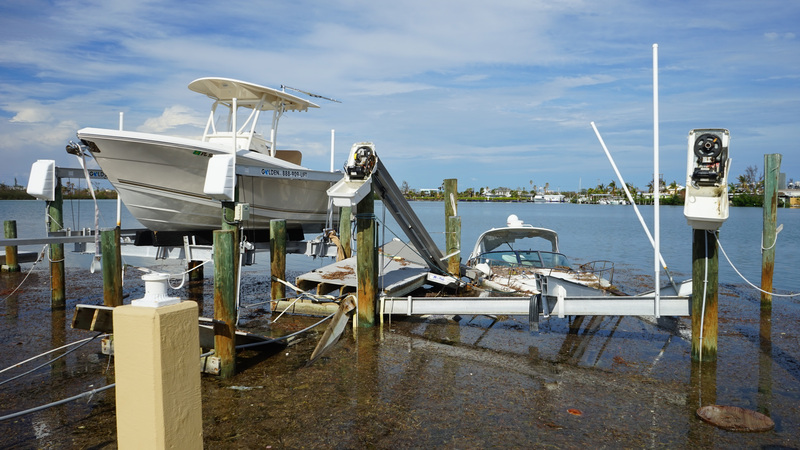 SwingStoppers LLC provides a unique, new line of products designed to quickly and easily secure your boat and lift for hurricane conditions and theft. These products, when used together, create an optimal solution for protecting your boat from getting damaged. SwingStoppers are designed to quickly and easily secure your lift and boat for storm force winds. I heartily recommend this solution to my fellow boaters. Although I am not looking forward to our next Storm warning, I know that I am well prepared for a speedy, effective lockdown. When my Insurance Co. asked me how I was going to protect my boat during a storm, I showed them the SwingStoppers and they were totally satisfied. So far it has been a good experience working with SwingStoppers. Your system is simple, takes 15 minutes to secure. I wish I thought of it!. Website Designed by Blackstone Marketing Group.